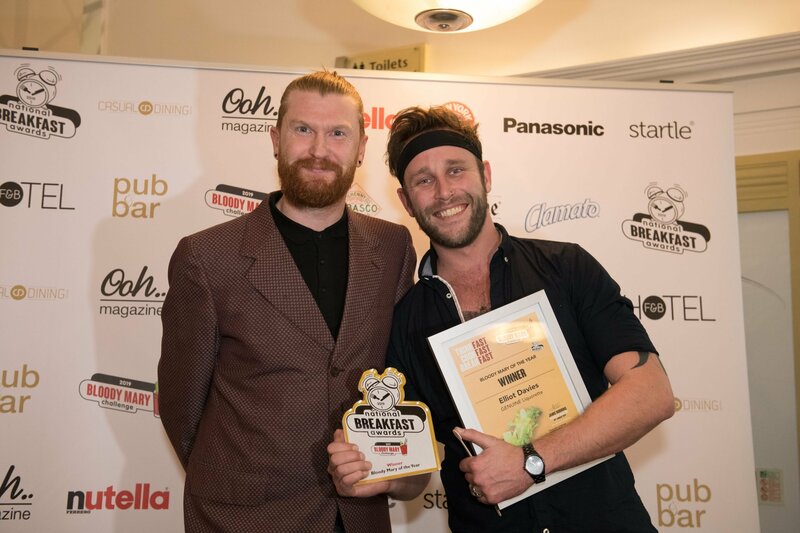 On 30th January 2019, TABASCO® sponsored the first ever Bloody Mary Challenge at the National Breakfast Awards. A selection of the UK’s finest bartenders and mixologists battled it out to create the best Bloody Mary. The competition was hot, so after much deliberation the judges crowned Elliot Davies, Bar Manager from GENUINE Liquorette, as the winner. Congratulations to Elliot for coming up with the winning cocktail, the 'Bloody Hell'. 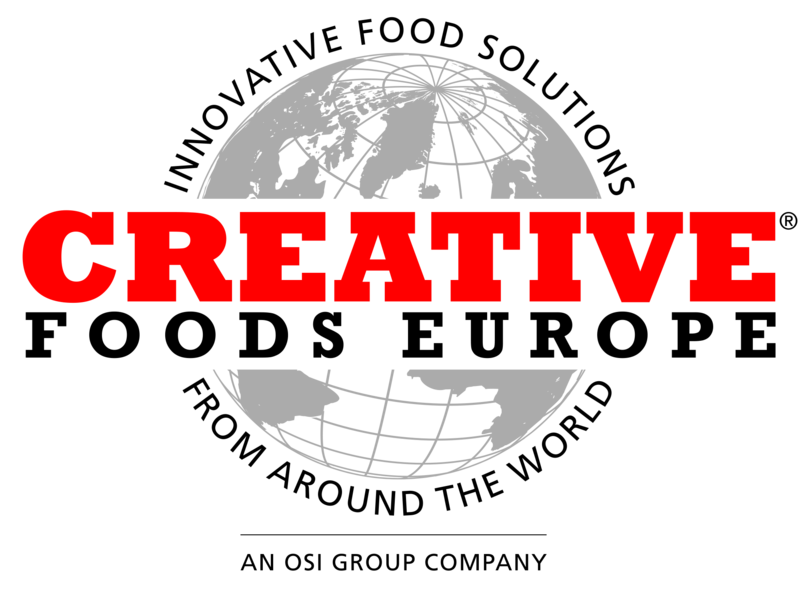 Watch the story here. 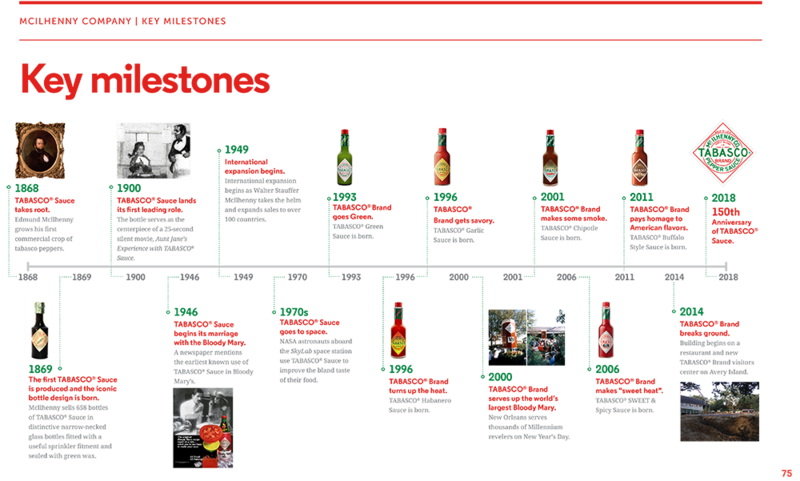 TABASCO® celebrated its 150 year history of flavouring food and drinks around the world and had a year-long celebration to mark the historical milestone. “My family and all of us at McIlhenny Company are truly humbled by the love we’ve seen for TABASCO® Sauce that has brought us to this incredible anniversary,” said Anthony A. Simmons, President & CEO of McIlhenny Company and 5th generation McIlhenny family member. Bring out the best in every bite with these delicious TABASCO® recipes. 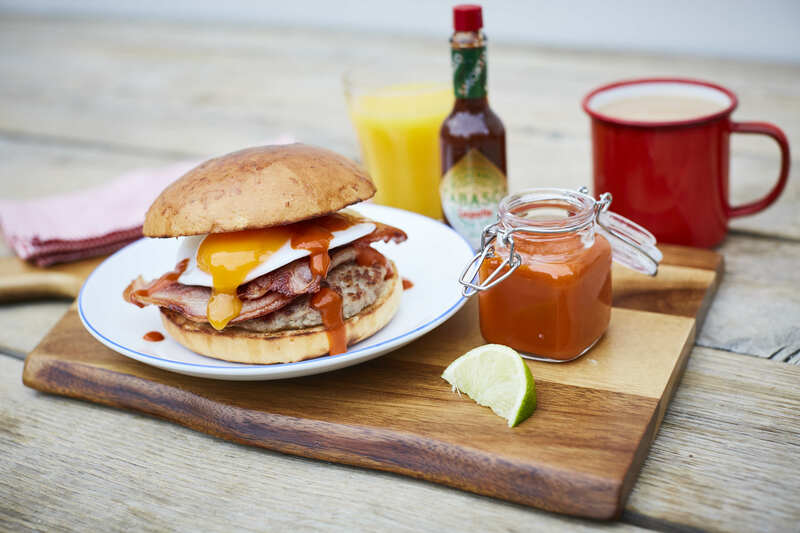 Browse through our breakfast, main meal, dessert and drink recipes for inspiration. Kick is what happens when you take peppers, vinegar and salt and age them for 3 years. It’s what elevates a love for pizza into lust, turns great sauces into legendary ones and transforms your everyday Bloody Mary brunch into one of the best days of your life. 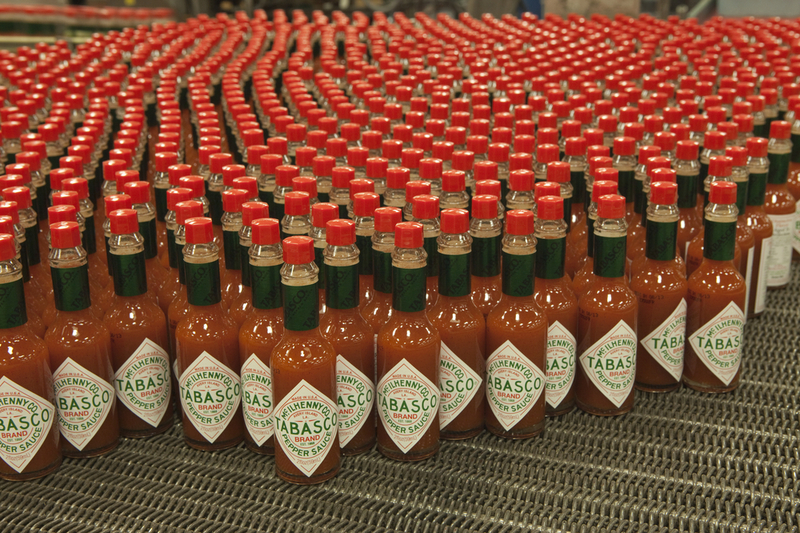 Kick is what makes this world of flavour go round and is why more than 164 million bottles of TABASCO® Sauce are consumed every year in over 180 countries. 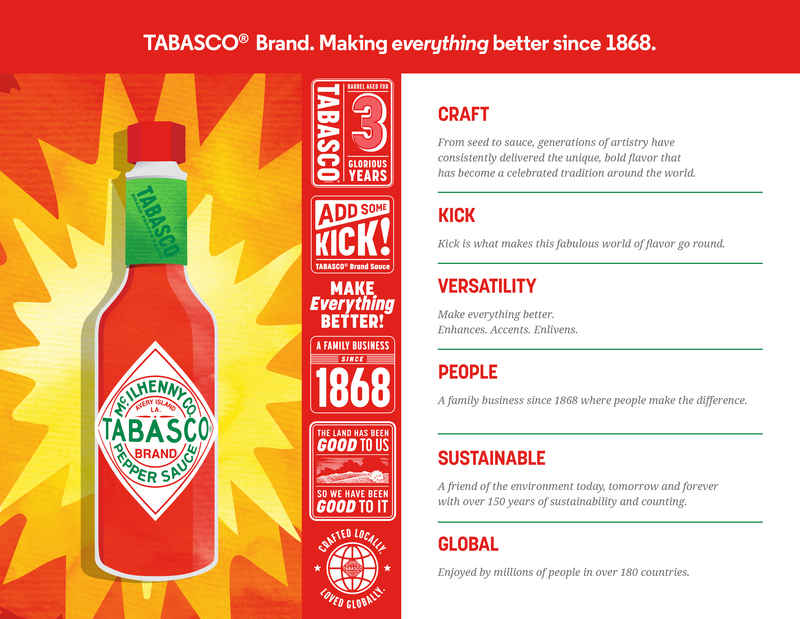 According to family tradition, TABASCO® Original Red Sauce was created in 1868 by Edmund McIlhenny. A food lover and avid gardener, McIlhenny was given seed of Capsicum frutescens peppers that had come from Mexico or Central America. Edmund planted the seeds on Avery Island in South Louisiana, he nurtured the plants and delighted in the spicy flavour of the peppers and in so doing he started the story of TABASCO® brand Pepper Sauce. 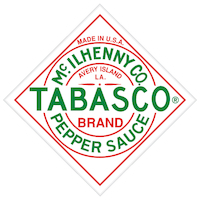 Today TABASCO® is still owned by the McIlhenny family & it is still produced on Avery Island, Louisiana as it has been for over 150 years. TABASCO® brand Pepper Sauce is made from just three ingredients - TABASCO® peppers, Avery Island salt and all-natural high grain vinegar. It is the only pepper sauce that's aged for 3 years in white oak barrels. 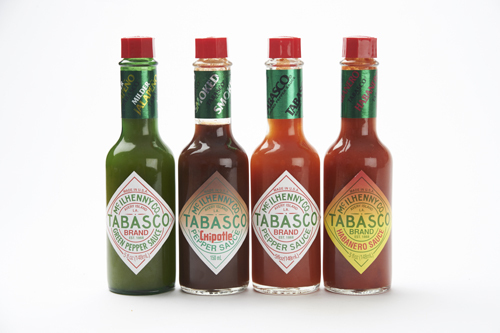 TABASCO® is an iconic brand recognised throughout the world. It's the only pepper sauce asked for by name.